The 2 Day 1 Night tour from Fethiye organised by TinyAkropol covers Ephesus and Pamukkale with meals and accommodation for £50 per person. We have received a few queries on what the food and accommodation on the tour is like so we have prepared a quick summary of them with pictures to illustrate them. Hotel pickup for the tour starts at 6.50am. Breakfast is provided on this tour through a cafe stopover. You get hard-boiled eggs, bread, butter, cheese included but for the real good stuff i.e. 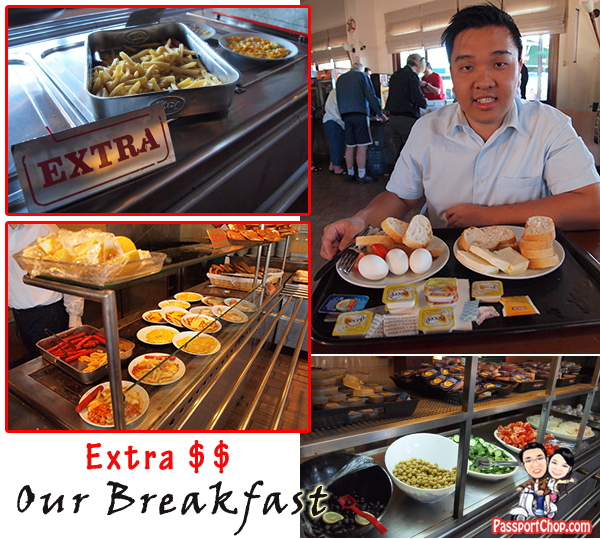 scrambled, fried eggs, french fries and sausages, you have to pay extra. Breakfast for the second day of the tour is at the hotel restaurant – quite basic not too different from this breakfast. 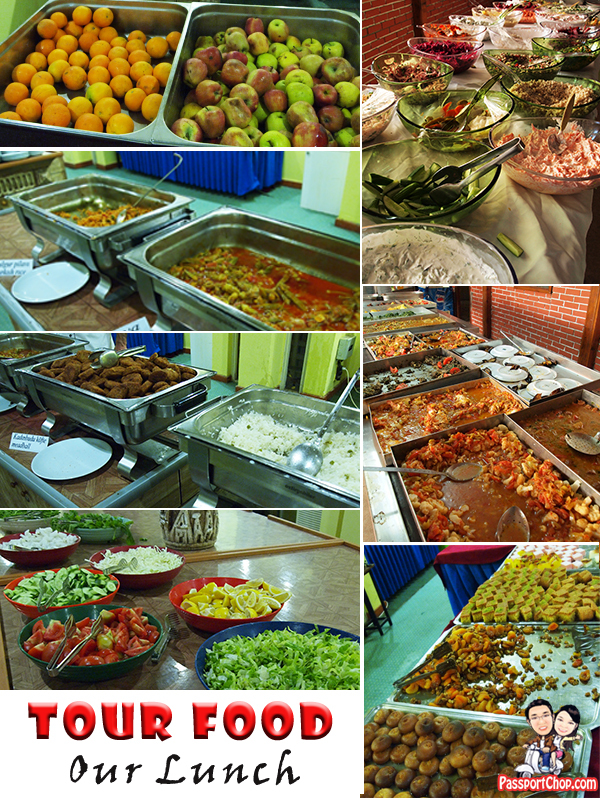 Lunch and dinner are buffet-style and comprises typical Turkish food and a wide selection of salads catering to different appetites. Drinks are extra here even water so check on what’s included before you order. If you want to buy souvenirs of the places you just visited, there are small souvenir stores setup by these restaurants too. 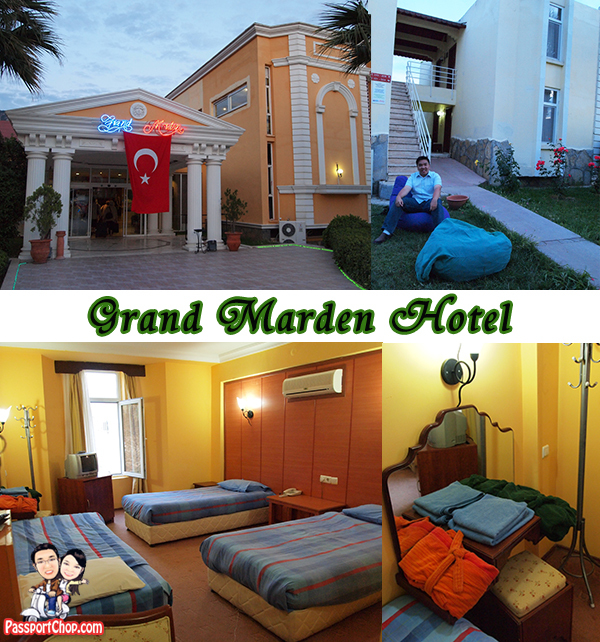 After the Ephesus tour on Day 1, the tour proceeds straight to Hotel Grand Marden located at Denizli where the tour group rests for the night. This hotel is also known as a Thermal Hotel because of its thermal pools which are heated with hot spring water from nearby geothermal deposits such as that which formed Pamukkale. This is a resort-style chalet which caters to tour groups of different profile from school children, couples and tour groups like us – a mixture of foreigners (mostly British). 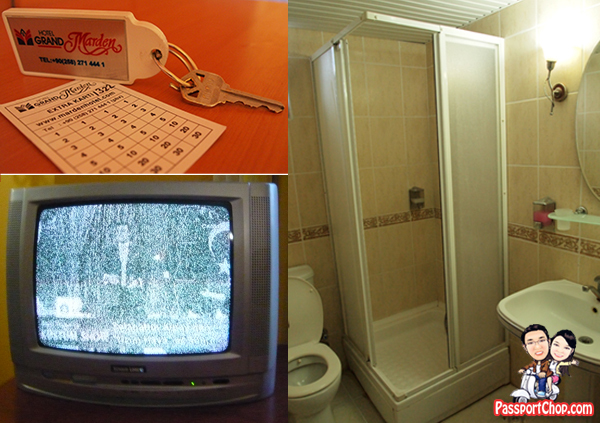 The room is quite basic and clean; good enough as a temporary rest stop before we proceed to Pamukkale. There are colorful robes and towels on the dressing table which you can use if you intend to use their thermal pools but note that you will be charged if you use these robes (on a rental basis not purchase). Hello this post is very interesting. I’ll use it for my essay :). Can you comment me some related articles that I can read too? Thanks for taking the time to speak about this, I’m fervently relating to this and I value learning this particular topic. Please, while you acquire information, make sure you update this web site with increased information. Ive found it very helpful. There has to be getting channels everywhere. Spot on with this write-up, I truly feel this amazing site needs much more attention.